Flats have always been one of my favorite go-to shoes because sometimes you really just don’t want to wear heels but you are really not going for full on “sneaker casual”. They are perfect because they are just the right amount of sophisticated yet casual and can be worn on date nights, shopping trips, to work, while traveling……really just about anywhere! Right now one of the biggest trends in flats are lace-up pointed toe flats and in a perfect world we would probably all be wearing the Valentino Rockstuds or the Aquazzura Belgravias……but most of us are not spending $900 on 1 pair of shoes. We can still dream though, right? Halogen is probably the top contender right now in this style of flat that is a more mid-range price. They are not super expensive but they are also not cheap but their signature lace-up flats will run you close to $90 a pop! I won’t lie, I do own 2 pairs of the Halogen ones but Steve Madden also has a few styles coming in slightly less at around $80 each……but if $80 for a pair of shoes is still too much their are tons of other affordable options out there! Not only do I have the two Halogen pairs from Nordstrom, but I also have a few pairs from H&M. ASOS, Revolve, Target …..even Charlotte Russe & Forever 21 also have several gorgeous options that won’t break the bank! All in all this is a style that won’t be going anywhere anytime soon! 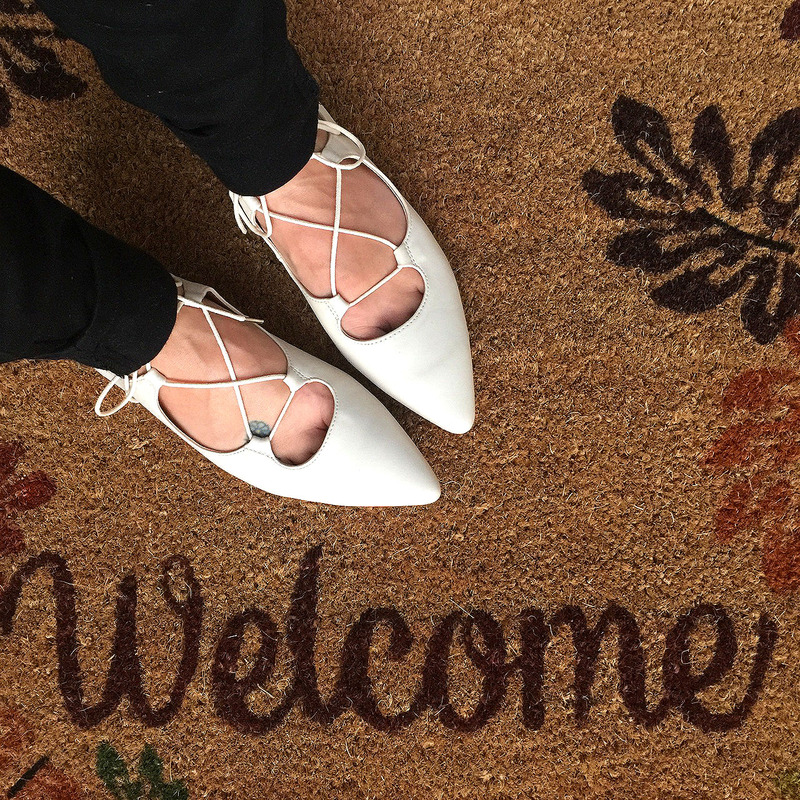 Are you guys totally as in love as I am with lace-up flats? Would you take the splurge or steal????? 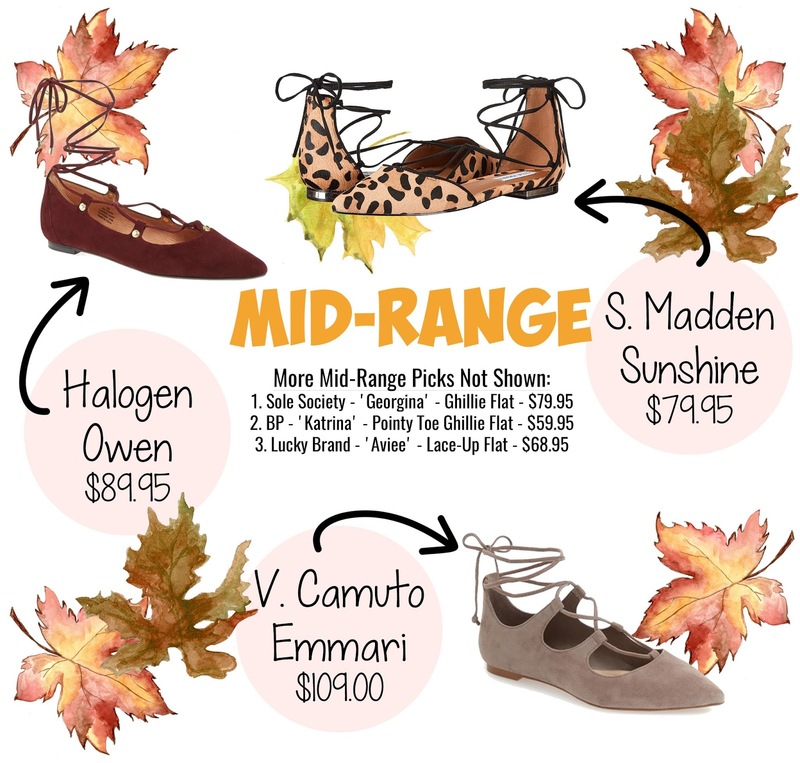 I have a strong addition on lace-up flats and all these items are a dream? Anytime….Love your link up each week! 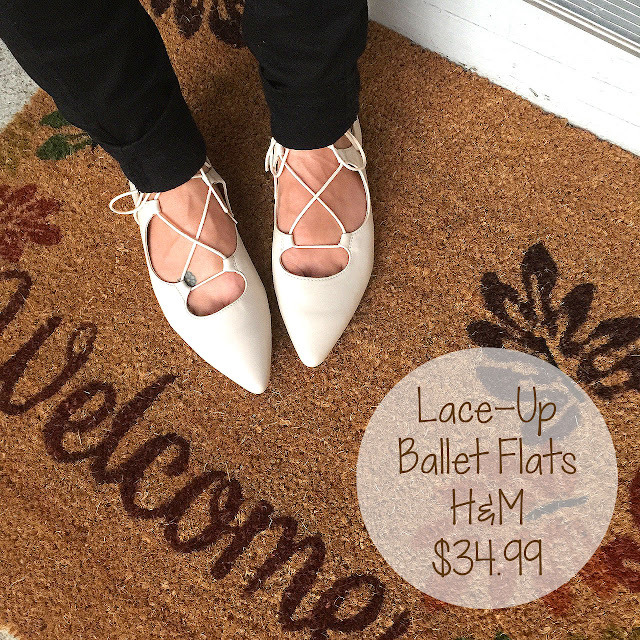 I know right….lace up flats are THE BEST! Yes I agree…I wish I could buy all of them! Me too!!!!!!! They are all gorgeous shoes! I have a pair of black ones and I really need to wear them more! Steals please! These are gorgeous – I believe I saw the ones from Target at the store!! But I love the one you are wearing much better!! I love these style of shoes, I really need some of these 🙂 Thanks for sharing at Creative Mondays, you are one of my features later on this weeks blog hop..